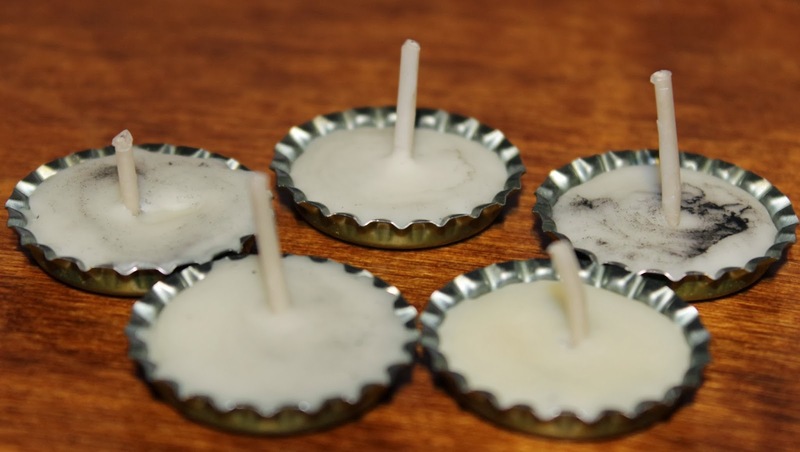 Today’s project was Bottlecap Candles, inspired by this pin. The instructions want you to get microwavable wax, etc, which seemed silly to me when I can burn a normal candle and re-use the wax from that just as easily. 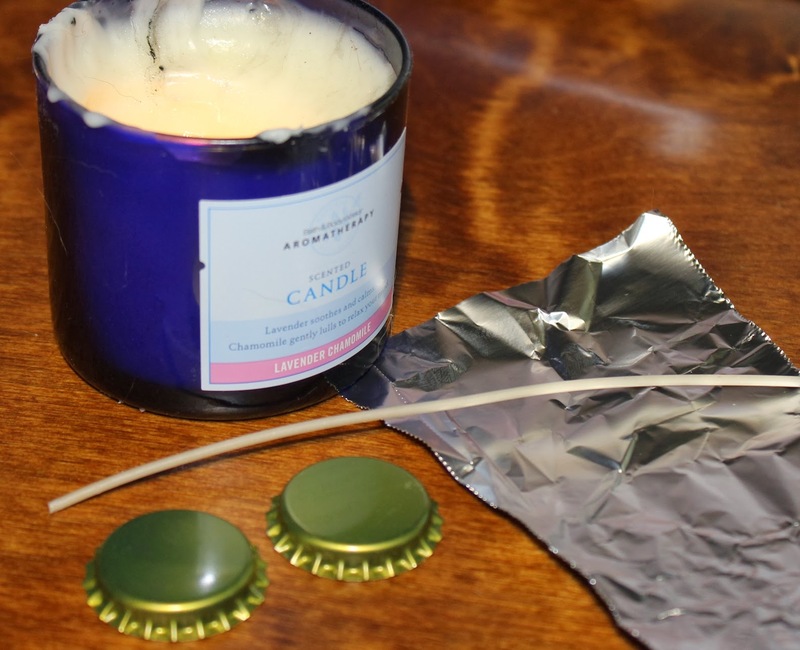 To start, I grabbed a wick (came in a five-pack and I just trimmed tiny lengths off of it), bottlecaps, a candle, and a bit of aluminum foil (to hold the wick upright). 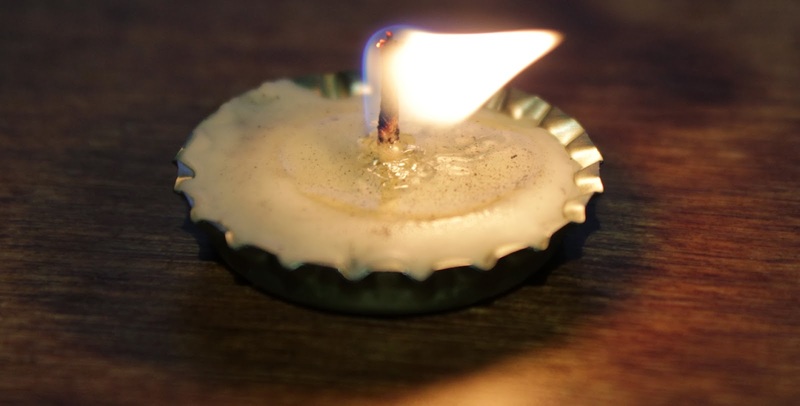 I ripped off a small amount of foil and squeezed it around the base of the wick, making sure it could stand up in the bottlecap. 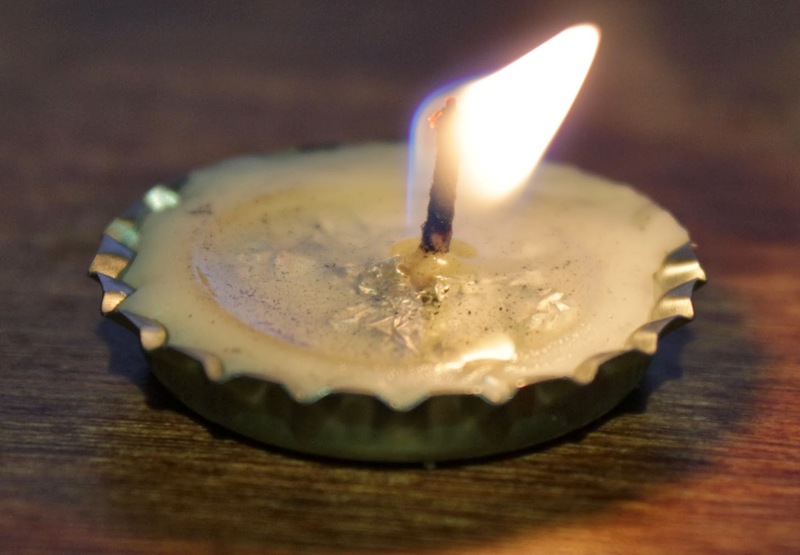 I carefully poured some of the wax into the cap–it doesn’t take much at all! Then I let them dry and harden. Finally, I tested the claim that they could burn for an hour and a half. I got 50 minutes out of the one I tried before the wax ran out. Not quite the 90 advertised (and maybe my aluminum foil was an issue there) but still quite respectable! Tomorrow’s project is Edible Glitter!